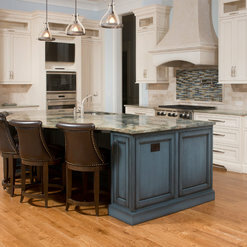 We have taken on projects from one room remodels to whole-house cabinetry design for new construction jobs. We work closely with home owners who are either building or remodeling their homes. 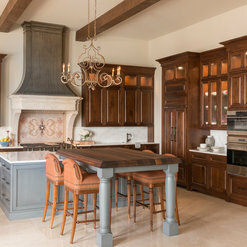 Our goal is to design cabinetry that is not only beautiful, but functions to the specific needs of the family. My husband and I loved working with Arlene...she was an absolute delight! She has great ideas...knows her products....and manages a timeline very well. 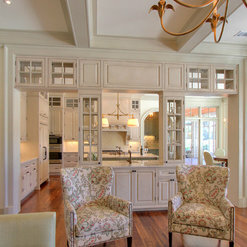 We love all of the cabinets in our home...they are high quality, well constructed and beautiful. Arlene and her staff have an eye for detail and it shows! 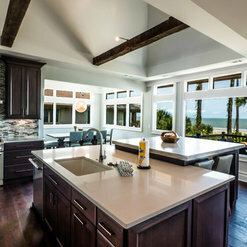 Our challenge was while living here in Bluffton, SC to design cabinets for a new home in Jackson Wyoming. We needed a kitchen designer who was patient, creative, flexible, and able to recommend a value-option for a second home. In addition, our design scheme is 'mountain modern' which is slightly beyond our comfort zone so we required design consultation as well as a cabinet layout professional. Arlene met each and every one of these challenges. For us, one of Arlene's key attributes is being a careful listener. Every client has different priorities and she paid close attention to what we were looking and never tried to 'steer us' toward a different route. The minimalist streamlined look that we were striving for required careful planning because there is a fine line between modern and just plain dull! 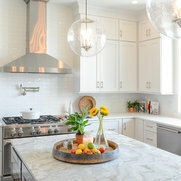 This meant a lot of discussion about finish options, pulls, and a style that would complement the appliances, countertops and flooring we had selected. Arlene skillfully consulted with us about the layout of our kitchen over the course of numerous meetings. 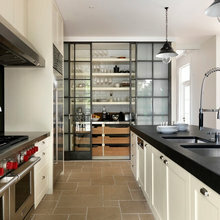 She is competent in all of minute details that are necessary for measurement, fit and function of a beautiful kitchen. Naturally, we went through several iterations and she guided us each step of the way until we were certain we had chosen the style, finish and layout this is ideal for our new home. Arlene has a calm demeanor that gives clients a chance to ponder their choices and come to a decision. Arlene was entirely at ease speaking with the WY installer when the cabinets arrived on site. He had a few questions and she was available to answer all of his queries. Our appliances will be installed next week and we are thrilled with Arlene's assistance in designing our kitchen. We unreservedly recommend her professionalism and skill. Arlene was such a wonderful resource to have all the way from design to installation for our new construction. 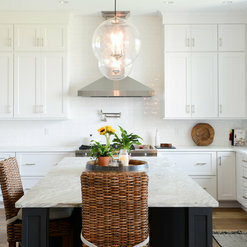 She patiently guided us through the process with her expertise and insight for our kitchen, bathrooms and laundry room. 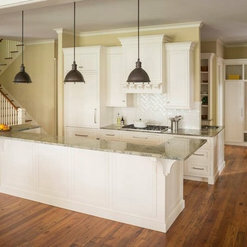 Not only are we happy with the quality of the cabinets, but we are also so happy with the top notch, attention to detail installation provided by her team. Arlene is a true gem at what she does and a pleasure to work with - we can't recommend her enough! We met with Arlene for help with kitchen cabinets. With professionalism, knowledge and creativity, she provided a design that made our kitchen beautiful and functional. She provided workable and quick solutions to challenges and responded very promptly to every phone call, text and email. 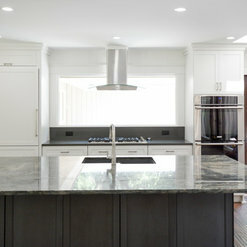 We were and are pleased with the quality of our cabinets and how are kitchen fits our everyday needs. Arlene is a dynamo with expertise galore, and quite fun to work with. She did an excellent job for us and we highly recommend her. 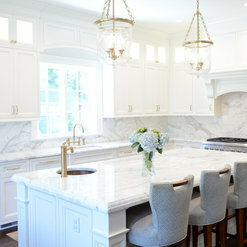 Kitchen Design by Arlene Williams designed and installed our cabinets in our newly construction home in Hilton Head Island, SC. She did an outstanding job!!! 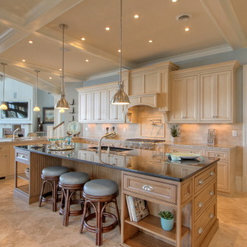 She was willing to listen to and meet our needs in designing a beautiful kitchen, dining room and laundry room cabinets. We would strongly recommend Arlene Williams, she is a true professional!!! Arlene was instrumental in our home design. She has a true passion for understanding the client’s vision while providing her expertise and design inspiration. She worked diligently to refine our custom concepts and our cabinet designs throughout our home are perfect! I had 100% trust in her and her customer service was outstanding! I have been working with Arlene Williams from Palmetto Cabinet Studio for many months on my custom home and have thoroughly enjoyed our collaboration. In addition to having extensive experience with cabinetry, Arlene is knowledgable about many aspects of home design and building, in general.. She is resourceful, has a great design sensibility, is flexibile, open-minded, and patient. She is dedicated to her job and in her time "off" is sending ideas my way, knowing I will welcome them and likely be inspired. She is an integral part of my design team and I am delighted (and relieved) to have her on board! Top notch professional! Creative ideas with plenty attention to detail, from contemporary to traditional styles, and everything in between. I recommend PCS without reservation. 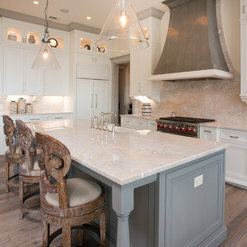 I am very proud that Arlene Williams Kitchen Design is a dealer for Bremtown Cabinetry & Cuisine Ideale Arlene's design skill is impeccable and each of her clients enjoys very personalized service that continues after the sale. I love working with Arlene at Palmetto Cabinet Studio. The whole team is very professional and knows how to read plans, work with budgets, and treat me and my clients with the best care. The email follow up is great! The showroom is also up-to-date and easy to take a client through to review cabinet styles, finishes, etc. They also carry cabinet hardware so you are one and done! I highly recommend this vendor/company for all cabinet needs. Palmetto Cabinet Studio did a wonderful job remodeling our master bathroom. Arlene and her team were amazing. She was professional, knowledgeable, and a true pleasure to work with. 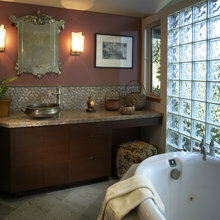 Arlene listened to our needs and offered her professional advice to create our "dream" bathroom. 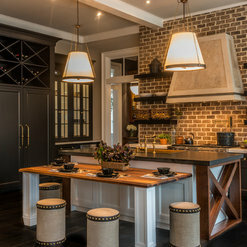 Arlene has been such a pleasure to work with designing our kitchen and baths for our home in Palmetto Bluff. Her creativity, patience and foresightfulness have been invaluable. We are excited to see the vision turn to reality! Arlene Williams tagged a photo with: "Elon Tile - Opal Snow"
Commented: color/ brand of pipes?I'm sorry I don't recall. Commented: Do you know who manufactures the faucet and also the sink?I'm sorry I don't recall. Commented: Love the shelving unit. What is the color thanksI'm sorry i cannot. It was sourced by the interior designer on this project.